Peach State Lumber is proud to present it's 80,000+ square foot warehouse to the public. Peach State Lumber provides the tools, glues, and most importantly the lumber that any woodworker may need. We keep over 1 Million Board Feet of lumber stocked for your choosing. We also carry a retail section allowing you to choose from an assortment of pre-cut, surfaced, and ripped lumber. Dont see the exact measurement of smoothness you are looking for? There is no need to worry as we offer services to accommodate. 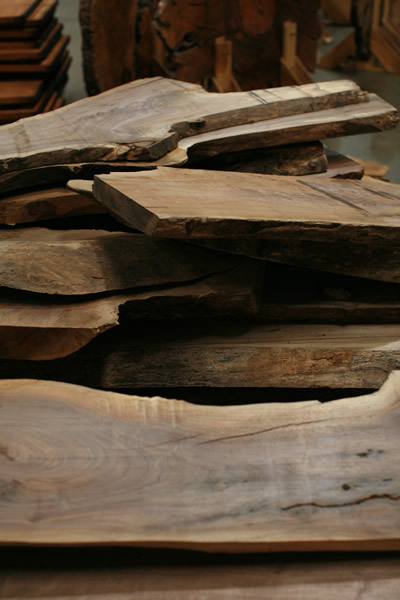 We are Atlanta's #1 source for high grade hardwoods and hard-to-find softwoods. Our goal from the start has been to provide superior customer service with an extensive, competitively priced inventory. Peach State Lumber Products believes in providing wood workers and Do-It-Yourself customers with the best of the best. With a warehouse stocked with lumber there is no project to large we can't fulfill. We offer over 25 species of exotic hardwoods that have been identified and inspected by our team of international hardwood experts. We import species from across the globe including Asia, Africa and South America and offer each in multiple grades, thicknesses, widths and lengths. Check our stock list or speak with one of retail associates for more information.